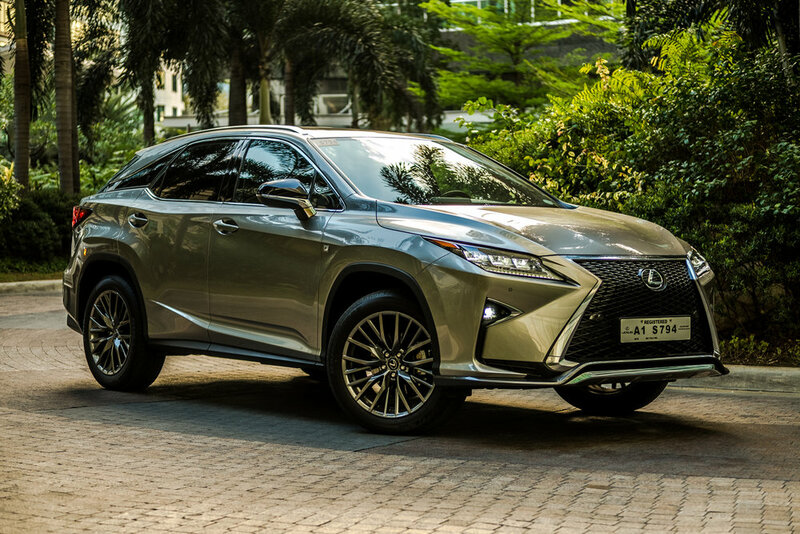 Writing about a run of the mill Lexus RX is no easy feat. Apart from it being such a polarising automobile - which I fail to understand why - the last Lexus I drove was the flawless and desirable LC 500. It is a ridiculously striking coupé that should've been due for release in the year 2048. It’s fast, it’s comfortable, the engine sounds orgasmic, and the interior is to die for. It is so good in fact, that it is often compared to the Aston Martin DB11, which all things considered, is the pinnacle of a grand tourer. To make things worse, the LC 500 is only half the price of the Aston, and that makes it too good to be true. Unfortunately, it is. It’s like waking up on a Saturday morning next to Alicia Vikander with a tray of waffles, berries, orange juice, and two Advils to make your headache go away. You slap yourself on the face twice, but she’s still there. 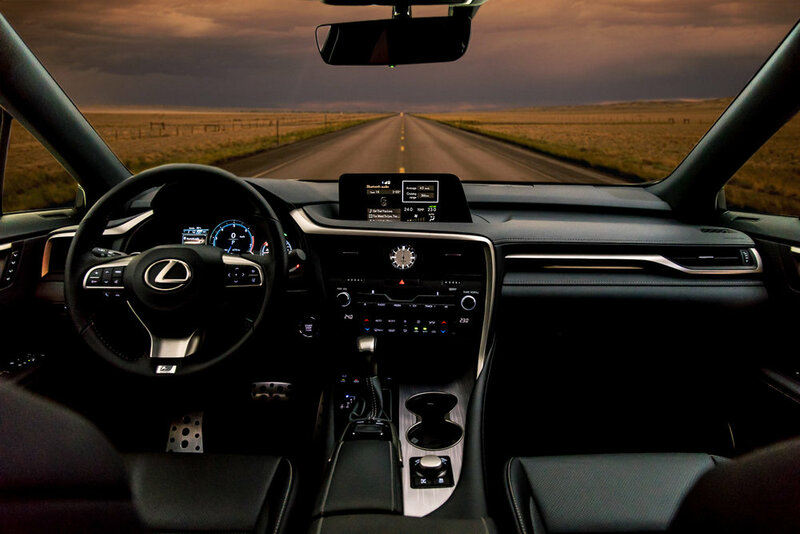 The LC 500 is real, and because it exists, the bar for Lexus is in a place the space challenger can only dream of going. As for me, the RX has always been my favorite Lexus. I’ve always thought that even back in the day when they were making cars for senior citizens, their SUV had a little something to give the likes of BMW and Mercedes-Benz a little fright. It was never as exciting as the Bimmer nor was it as plush as the Merc, but in the very early 2000s you could already tell that they were working on a really good foundation. The engineers and designers were getting somewhere even if they applied a lot of things from the parts bin of Toyota. 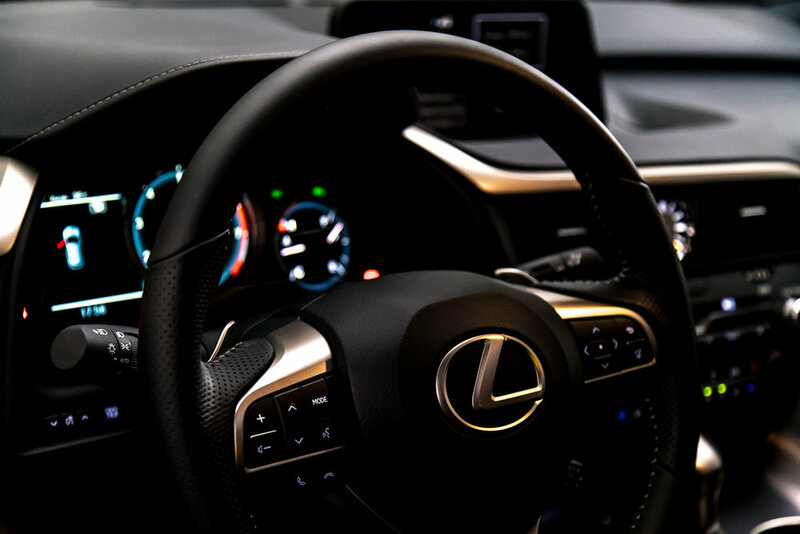 Lexus today, has finally found its own identity and you’d be hard pressed to link it to its mass market sibling, which I love them so much for. It’s like a son telling his father that he doesn’t want to follow his footsteps into law. Instead, he wants to chase his dream of becoming a musician - and he sticks with it. 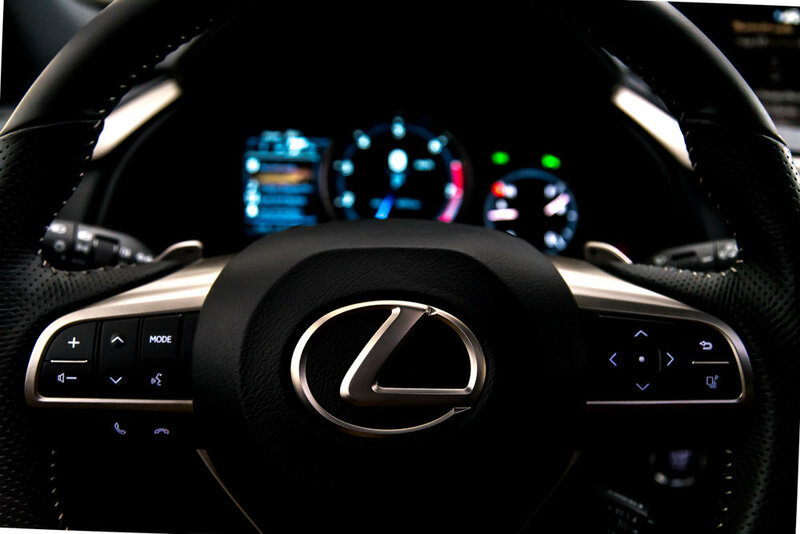 When I got the car from Lexus, I had no expectations. I like the overall design of this crossover SUV, even if some find it too busy. Understated isn’t part of its vocabulary, because the only thing bigger than its grille are Kylie Jenner's lips. Or hips, whichever floats your boat. The LED headlights are some of the best illuminating lights in the business, even if they look like they come from one of those space ships from Independence Day. The RX is also such a large piece of mass. It is so damn wide and long. The chiseled lines from the front that make their way to taper off the rear, don’t help either. It’s not a bad thing, because when you’re spending money on a luxury SUV, size does matter. I like how it doesn’t try to keep its design cues subtle. I can imagine that its designer had a katana strapped to his back, and after months of frustrating design failures, he just started slashing through the clay model and ended up with this. It’s rather brilliant. 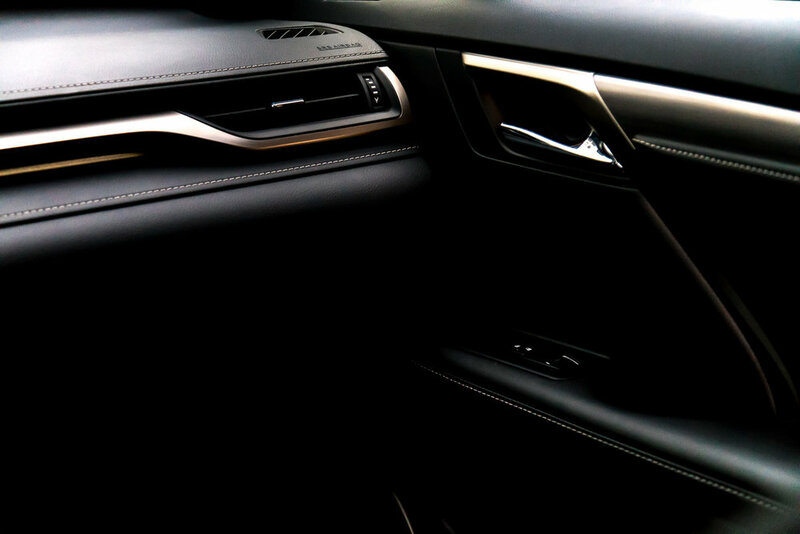 The interior is lovely. 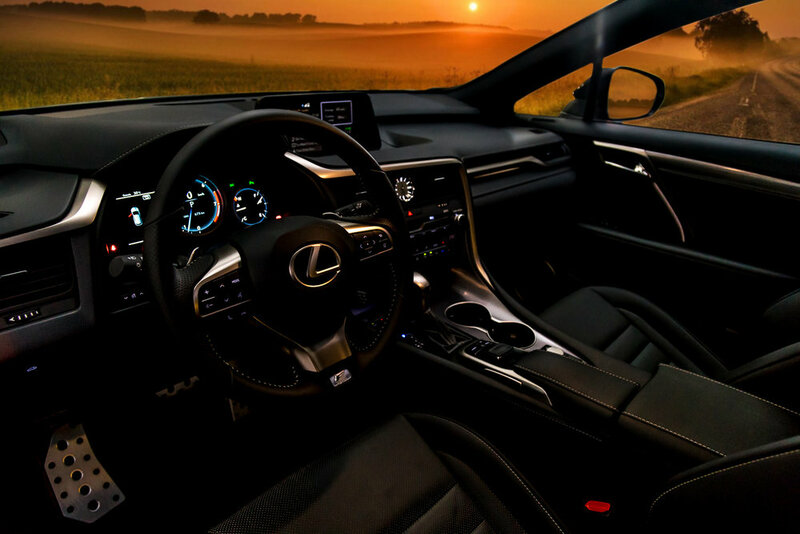 You have acres of leather all around, a digital tachometer and an information display exclusive to the F Sport, as well as some ventilated seats upfront to keep your bum cool in our country that just so happens to flirt with the equator all the time. 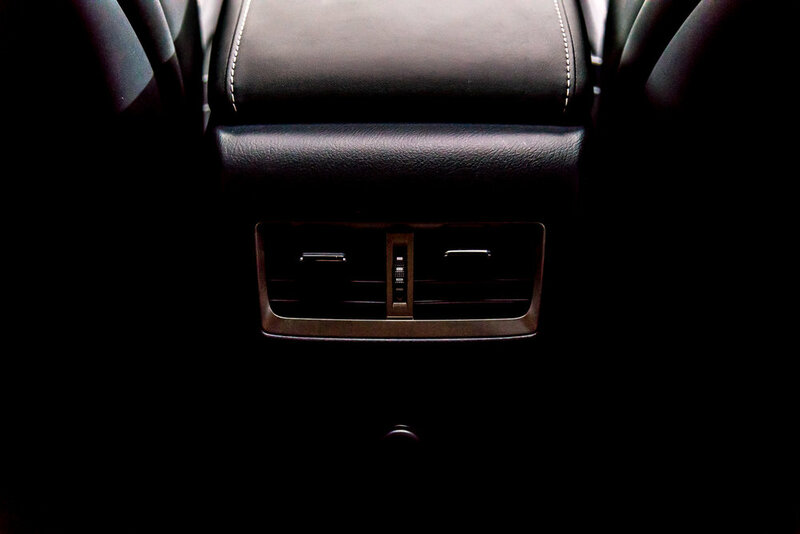 The rear seats are comfortable too, and they recline automatically through a button you can press hidden on the side. Fancy! The sound system is excellent, and I don’t even think it’s equipped with a Mark Levinson stereo, but believe me when I tell you that it sounds even better. I’ve no clue why. I have deep respect for cars that still carry an analogue clock, and this is exhibit A. The smartest thing they’ve done after ditching the green digital clock that you find in a Toyota Avanza is replacing it with an analogue work of art. Bravo! The design doesn't revolve around vanity. The cupholder in front can be pushed down and this helps when you’re driving at speeds that make the RX roll from side to side. That way you’ll never look like you just pissed your pants, which you can - because this thing can be swift in the right hands. The engine is powerful. It has a healthy stable of 292 horses with a peak torque of 360 Newton meters, which is respectable considering that it’s propelled by gasoline. The RX has decent low end torque that is great when you’re pottering around the city, yet it has high breathing capacity when you floor it to the red line. It can sprint to a hundred clicks from standstill in 8 seconds and onto a terminal velocity of 200 km/h. Those figures are probably irrelevant to most since nobody buys an RX to hoon around. While it does have some F Sport goodies that makes it look like it has sporting intensions, they are nothing more than mere pretensions. Don’t mistake it for a bad thing though, because it isn’t. Anyone who will spend a decent amount of money on a sporty SUV does not want a sporty ride. We’ve learned that through the Ford Explorer Sport V6 equipped with a sport suspension, which has a ride that irons out your teeth and not the bumps. It's a good thing that the suspension is made out of full cream butter. 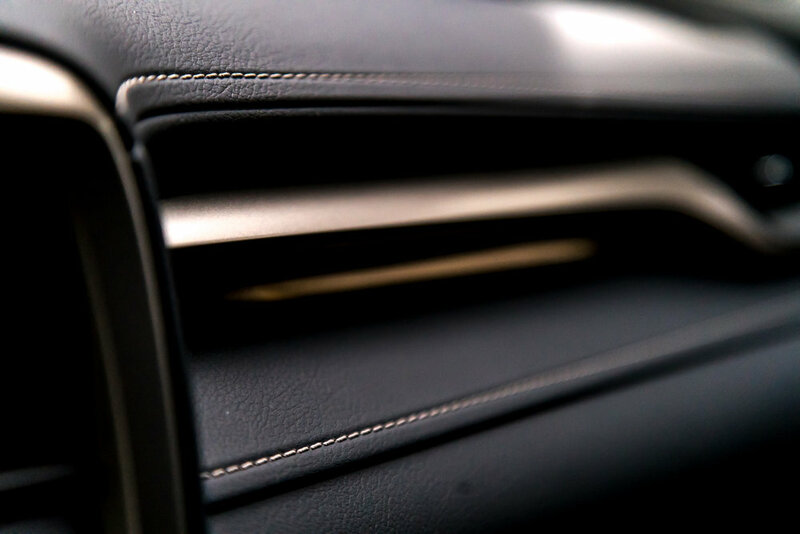 It's so smooth that it’s a pain to jump into another car, unless it’s an S-Class. It’s the same story with the transmission. 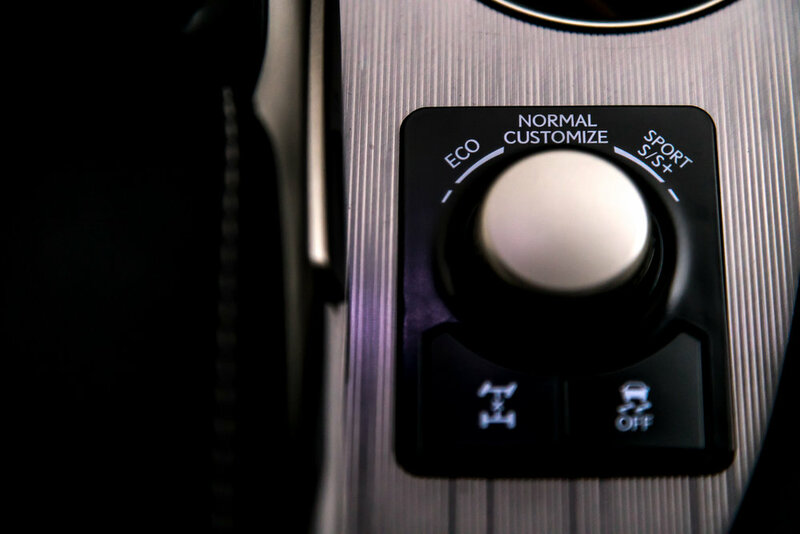 It has paddles to override the shifts, but you can tell that it doesn’t enjoy doing it. The reactions are too delayed for spirited driving, it would be best to leave it on ‘drive’ and let its brains do all the work. The biggest issue I find in this SUV is the fuel consumption. In the city, I managed only 4.7 km/L. Thankfully, I live all the way in Alabang and I was able to drive it further south, which brought it up to about 5.9 km/L on a combined cycle. I don’t mind consumption figures that are in the 4s, but if they are, I expect the driving experience to blow me away every single time. This doesn’t. It’s made for cruising, and it shines bright in that aspect. It is so smooth and so suave, that you tend to get in character with the car. You drive just that bit more relaxed and you tend to leave idiots on the road to mess about with their business while you’re cocooned in the lap of luxury. From where you sit, you cannot be bothered. Apart from the fuel consumption, but that’s about it. I took a good friend of mine for a cruise in the RX, and he said, “For roughly the same amount of money why would anyone buy a Land Cruiser over this”? He struck a good point there. The Land Cruiser can go to places that the RX can only dream of, but you have to ask yourself, how many of them will really take their SUVs deep into the heart of the jungle? Most of them are driven exactly where this very Lexus will be, and in that case, I too would choose to be in the RX. It’s quiet, it’s refined, it’s dressy, it’s quick, and it’s damn luxurious. It may not drive like an X5 or be as much a status symbol as a Mercedes-Benz GLE, but that’s the appeal of it all. It is significantly cheaper than its German counterparts and it’s better equipped. It’s for those that don’t have a point to prove but just want good value for the hard earned money they’ve made over the years. On that point alone, how can you fault this one? "It hails from one of the largest mass automobile manufacturers, yet, its overall presence couldn't be further from its essence. It is sharp, confidence inspiring, and contemporary." "The car is painted in the same color as a five-year old child's regurgitated Jolly Spaghetti. However, it is fast and it makes the same noise that Jennifer Aniston and Angelina Jolie would if they were stuck inside a balikbayan box."